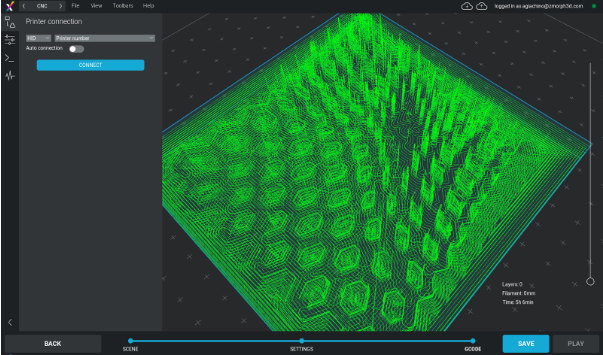 Voxelizer allows you to easily generate 2D and 3D paths for your CNC machine. In this tutorial we will see how the 3D milling workflow works. First of all, make sure that you are working inside the 3D milling workflow. 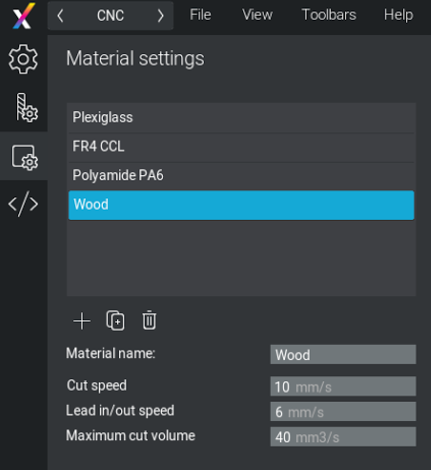 In the Scene editor, under the Material tab, set the dimensions and position of your material. Import your model, arrange it, choose the voxel precision and voxelize it. 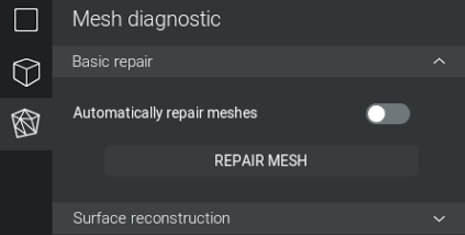 A Mesh diagnostic and repair tab is also available on the left. Once your model is voxelized, you can still modify it thanks to filters and voxelmap transformations. Here you can set the specifics of the milling tools that you have. 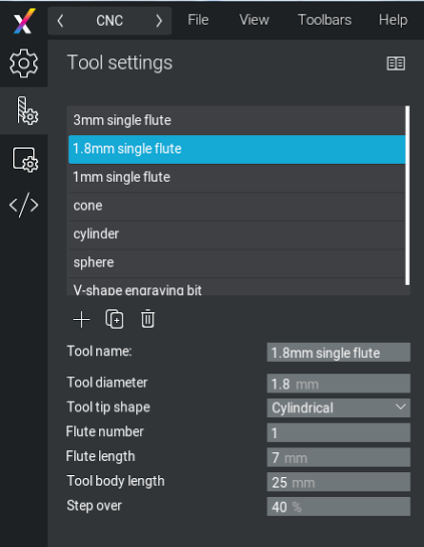 Start by selecting the tooltip shape: cylindrical, spherical or v-shape. This is where you set the specifics of the material that you are going to mill. Here you can apply one or more operations to your models, for each operation you can specify the settings and the tool used. At the moment you should generate one g-code per tool used. This means that you cannot have multiple operations using different tools during the process of milling because the machine will not stop automatically to allow you to change the tool. For the specifics about each operation see our dedicated article 3D Milling Operations. In the last tab you can engage a voxel simulation on your material and get a realistic view of how your artifact will look at the end of all the operations. The smaller the voxel size is, the higher the precision of the simulation but be aware this also increases the time required to calculate it. 0.25 mm is a good compromise. Once you are happy with your simulation, you can click Next to generate the g-code to send to your machine.